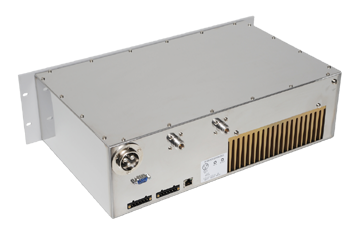 MXPA300- External High Power RF Amplifier. 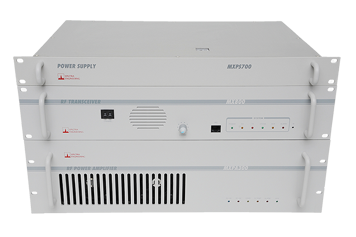 The MXPA300 is designed to operate as a final amplification stage for a MX800 terrestrial VHF transmitter or other repeater/base station equipment. 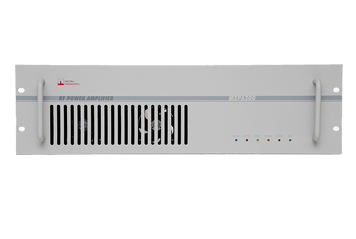 It amplifies the incoming VHF-Band input signal to a controlled output power level of 200/300 Watts, while maintaining its linear characteristics. 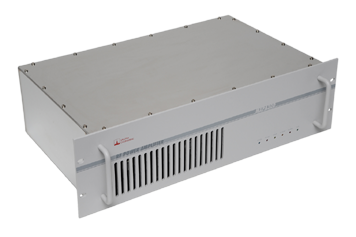 The MXPA300 architecture is based on a solid state LDMOS push pull design, operating in Class A/AB linear mode over a frequency range of 140 MHz to 175 MHz. The amplifier's components are enclosed in a standard 19" rack mount chassis, occupying only 3 RU of cabinet space. • Gold metallization ensures excellent reliability. 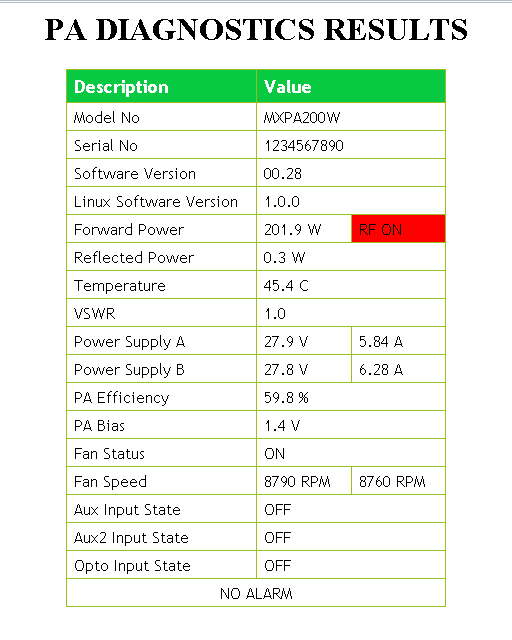 • Front panel indicators show PA status. • Benefits of Digital & Analogue VSWR Protection. • Design based around proven MX800 architecture. • Linux operating system, providing Ethernet remote diagnostics and remote control. • Remote ethernet Flash based software, allowing upgrades of new features remotely. Example Picture Of Web Diagnostic Page.